Very good, running /driving 1973 Chevy Camaro Z28 with the very good original 8 cil engine. 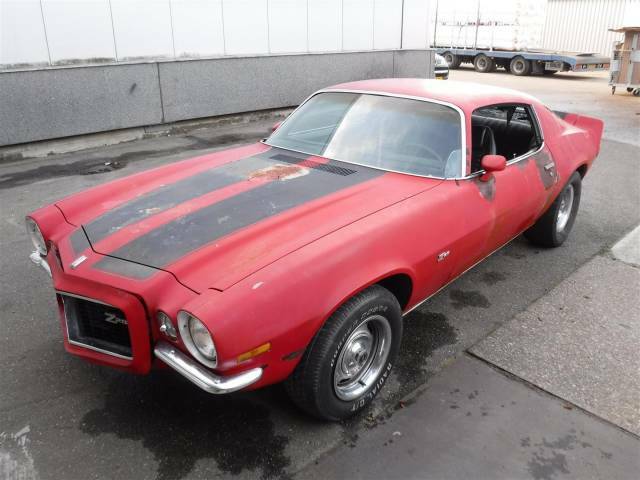 It has an automatic gearbox.ch # is: 1Q87T3N153148 Very good original floors, good straight body, but it needs paint and new interior to make real nice.Drive this Camaro home for € 18.350,- Biggest choice in REAL Classic Cars in "the Stolze Collection" with more than 450 cars in stock ! From a project to perfect .